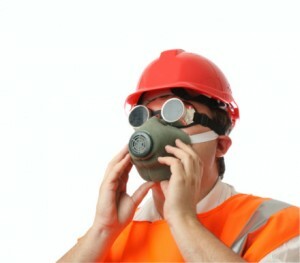 For your safety and peace of mind, always work with an asbestos certified contractor in North Hills CA like AQHI Inc. If asbestos has been found on your property, naturally you want it totally gone, ASAP. And because asbestos fibers are invisible to the naked eye, it could be easy for some disreputable contractor to SAY they’ve done a thorough cleanup job when in reality your property is still contaminated. Instead of risking this, rely on an asbestos certified contractor in North Hills CA like AQHI Inc. for all your asbestos remediation needs. Safety: We are dedicated to protecting the health and safety of our workers, your building occupants, and the environment as a whole. We do everything we can to minimize fiber release when cutting up and removing materials and prevent dust from the work zone from escaping into other parts of the building or the outdoors, and we always leave the area clean after work. Compliance: As an asbestos certified contractor in North Hills CA, we conduct all our activities in compliance with relevant state and federal asbestos handling rules and regulations. We make it easy for commercial property owners to secure the documentation needed to prove the remediation work was done properly and their property is safe for the public. Peace of Mind: You can enjoy even more peace of mind during your project due to the fact that AQHI Inc. is fully covered against any possible accidents that may occur in the course of our work with insurance coverage for both workers comp and environmental contamination. Even among asbestos certified contractors in North Hills CA, there are differences in the quality and comprehensiveness of services offered. Many contractors are only certified for the removal process and do not carry the separate certification that is needed to transport asbestos waste to a designated disposal facility. AQHI Inc. does have a hazmat transport certification, so we will never leave your project incomplete or ask for an extra fee to cover disposal. It is very important to remember that although asbestos contamination is invisible, it is still very dangerous and the threat should not be underestimated. Why risk your health with a DIY cleanup when you can hire an asbestos certified contractor in North Hills CA like AQHI Inc.? We have multiple locations so we can dispatch a team from the location nearest you to provide fast service in the event of an emergency. Call 800-481-8080 now to get your project started. Our asbestos removal office for Asbestos Certified Contractor in North Hills CA is open Monday through Friday between 8:00 AM and 5:00 PM and closed for lunch from noon to 1:00 PM. With advance notice, projects can be scheduled for weekends, early mornings and evenings.